Well, really I just needed to get knitting again. 6 weeks with the needles down while travelling was tough… Then the hands started hurting again. But the brain needs to knit. 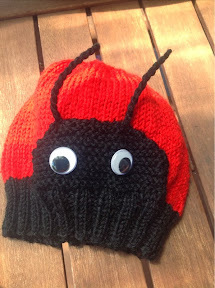 Here is a child’s hat, shaped like a ladybird. The cute part is the dots on the back, and the antenna on the front. Cast on 92 in black dk yarn on 3.75mm needles. 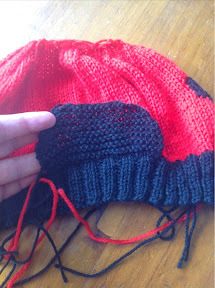 Change to red and 4.5mm needles. Repeat rows 1 and 2 until the charts are complete. 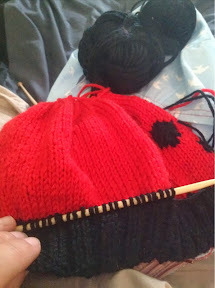 On the front of the hat, in the last black row of ribbing, pick up 24 stitches with a crochet hook, in the centre of the knitting in black. The easiest way to do this is to count in 36, then begin picking up the next 24 stitches. On this section knit 10 rows. 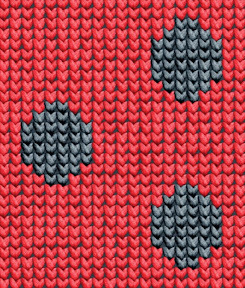 K2 tog, knit to last 2, k2 tog – repeat over 6 rows. 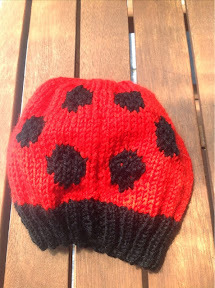 Stitch up the back of the hat in red. 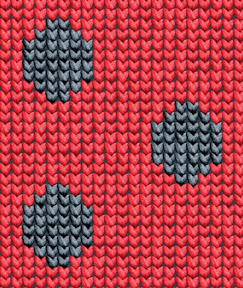 Stitch the face section on to the red part. Twist 4 pieces of yarn into 2 antenna. Stitch into the face section. Sew on 2 goggle eyes.